The Royal LePage House Price Survey released today showed double-digit increases in the year-over-year price of homes in 10 of the 13 regions surveyed in the Greater Toronto Area (GTA). In the third quarter of 2015, the aggregate price of a home in the GTA rose 11.3 per cent over the year prior to $612,261. Broken out by housing type, the median price for a two-storey home in the GTA increased significantly, jumping 14.0 per cent year-over-year to $731,601. Bungalows also saw a strong appreciation when compared to the third quarter of 2014, with the median price increasing 8.0 per cent to $588,776. During the same period, condominium prices rose moderately by 2.7 per cent year-over-year to $358,271. In some cases, price increases and sales activity in the GTA's suburbs are outpacing those in the central core. The greatest price jumps in the region were seen in Richmond Hill and Vaughan, which posted median price increases for two-storey homes of 18.6 and 18.0 per cent to $963,561 and $842,173, respectively, while the price in Toronto rose 17.1 per cent to $961,656. On an aggregate level across housing types, home prices in Richmond Hill rose 17.8 per cent to $884,802 and in Vaughan by 16.0 per cent year-over-year to $762,428, while aggregate prices in the city of Toronto climbed 11.2 per cent to $639,970. Meanwhile, in a similar trend, the price of a home in Ajax rose 14.5 per cent year-over-year to $524,710, while a home in Pickering rose 12.6 per cent to an aggregate price of $540,896. "In addition to continued strong house price appreciation in central Toronto, we are seeing a significant increase in home prices and sales activity in the markets outside of the Toronto core," said Gino Romanese, senior vice president, Royal LePage. 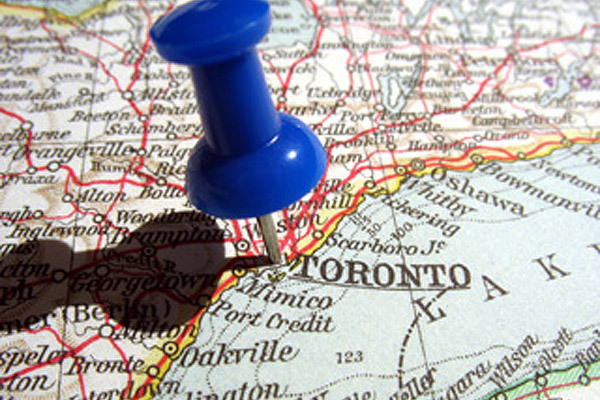 "With a continued influx of buyers into the GTA, listings are staying on the market for shorter periods of time. As a result, buyers are being forced to act quickly, which is putting upward pressure on prices." Reflective of the GTA as a whole, the third quarter of 2015 saw a seller's market in Toronto with a combination of increased demand from millennials desiring to live downtown and baby boomers looking to downsize but stay among the city's amenities and conveniences. In the city of Toronto, the aggregate price of a home across housing types surveyed climbed 11.2 per cent to $639,970. As prices continue to increase in the central regions of the city, more homebuyers are looking outside the downtown core to more affordable homes in areas of the GTA such as Scarborough. In the third quarter, the median price of a bungalow in the area was $574,989, making this location highly desirable for purchasing and redeveloping homes, according to Royal LePage real estate experts specializing in the Scarborough market. In the third quarter of 2015, the aggregate home price in Richmond Hill climbed 17.8 per cent year-over-year to $884,802 − the largest increase in the GTA. The aggregate home price in Vaughan increased 16.0 per cent year-over-year over the same period to $762,428. A combination of factors including foreign investment, low interest rates and demand outweighing available inventory led to the significant increases in both markets. According to Royal LePage brokers specializing in Markham, many homebuyers in this are seeking property for investment or redevelopment opportunities. In the third quarter of 2015, the aggregate price of a home in Markham rose 11.7 per cent across housing types surveyed to $757,849. In the third quarter of 2015, the aggregate price for a home in Brampton reached $514,747, a year-over-year increase of 12.9 per cent. Leveraging the appreciation in the value of their homes, many empty nesters are selling and moving to Toronto's west end, noted Royal LePage real estate advisors. Mississauga also saw healthy price appreciation in the third quarter, with the aggregate home price rising 8.4 per cent year-over-year to $539,909. According to Royal LePage real estate experts in Mississauga, the relatively affordable prices in the nation's sixth largest municipality, complemented by its good schools and all the amenities of a major city, are attracting young and first-time buyers. The aggregate price of a home in Milton increased 7.7 per cent across housing types surveyed to $541,902. With low inventory levels, in particular for bungalows, Royal LePage brokers in the area cite that they are often dealing with multiple offers on property listings. Though Milton is traditionally known for being a home base for commuters to Toronto, the local council is focusing on creating job growth in the area, which would support additional housing demand. The third quarter of 2015 saw a continued seller's market in Oakville, with the aggregate price of a home in the area increasing 4.6 per cent year-over-year to $763,765. According to Royal LePage real estate experts in the area, as prices for larger properties are increasing, homeowners are choosing to remain in their homes and renovate versus selling. Markets in the Durham Region also saw significant price increases across housing types surveyed in the third quarter of 2015. The aggregate price of a home in Ajax climbed 14.5 per cent year-over-year to $524,710, while the aggregate home price in Pickering increased 12.6 per cent to $540,896. During the same period, Oshawa and Whitby saw notable home price increases of 9.7 per cent to an aggregate price of $364,366 and 9.6 per cent to $473,400, respectively. Nationally, home prices showed moderate to strong year-over-year price increases in most markets in Canada. According to the report, the price of a home in Canadaincreased 8.0 per cent year-over-year to $502,643 in the third quarter. The price of a two-storey home rose 9.9 percent year-over-year to $615,304, and the price of a bungalow increased 6.8 per cent to $421,757. During the same period, the price of a condominium increased 2.8 per cent to $338,684. "Economic slowdowns in energy-dependent markets, most notably in western Canada, have in part been offset by both renewed industrial activity in other parts of the country and the Bank of Canada's recent interest rate cuts," said Phil Soper, chief executive officer, Royal LePage. "In line with recent quarters, strong national home price increases are largely being driven by continued double-digit percentage increases in the Greater Toronto Area and Greater Vancouver, where housing affordability is already becoming a growing challenge for many individuals and families." "Home ownership remains a bright light amid unsettled investment and savings options in volatile global capital markets. As we lead up to election day, it's not surprising that all of the major political parties are acknowledging the housing sector's prominence as the foundation on which the economy has been built for years, and a critical foundation upon which Canadians can build their savings," continued Soper. Beginning this quarter, Royal LePage's House Price Survey includes the Royal LePage National House Price Composite comprising house values for 53 of the nation's largest real estate markets through the use of a proprietary, custom-built system that analyzes a housing database containing millions of real estate transactions. The enhancements are made possible through Royal LePage's collaboration with its sister company, Brookfield RPS, a leader in residential real estate data and analytics inCanada.